I can't be the only one that liked source a lot better than GO? Personally I think it fits nicely with the rest of the game. The map's smaller than pubg but big enough to explore and thanks to your map that shows roughly where other players are you spend more time hunting than wandering aimlessly. Ammo is scarce which makes gunfights close range and tense, unlike pubg where it's about who has the biggest scope. Hopefully cheaters will only be using free accounts now. I'm loving the battle royale mode! Im jesting! Got nearly 4k hours in the game and love the pro scene. Free for offline play against bots and spectating matches through GOTV. Did you come to the hub in Hull with mangiacapra and that lot? i remember the team, played with mangiacapra a bit towards the end, dont remember your name though ha. my memory is poor! I think TF2 is really good for multiplayer. If you get a decent team, that works together, it's excellent fun. Dont play this it will take thousands of hours away from you!!!!!!!! You have been warned! So it's cheaper than it has been in a long time and you deem it "freezing cold"? What?! Yep, totally agree. Does my head in when players worry more about their stupid K/D ratios. Insurgency is a great game but PTFO. Posted a couple of deals for Insurgency myself in the last year. 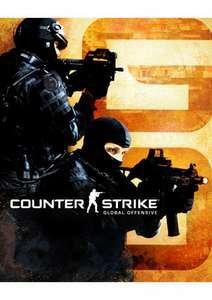 A great game and my 'go to' FPS multiplayer game of choice. Going down...Nelly,....thanks for the deal. Absolute nonsense you're spouting here. Rainbow six taken majority of players XD ? Csgo has 380k average players 30days steam rainbow six has 66k. Tf2 is job done. Bit bonkers with all the new items. But still a good crack after all these years. Good deal and heat from me, but if you're a PC gamer, seriously, who doesn't already have these classics!?! Is there a website like camelx3 for steam? Apparently it's was £2.99 back in 2013. I haven't noticed any cheaters yet, but I've only played 29 competitive matches (W22 D2 L5) so perhaps I've been lucky. I've been accused of cheating a few times already, the problem is people just don't know skill when they see it - so that's why people give the impression of so many cheats. I didn't even know about a thing called Prime to be honest :p It's a fantastic game and worth every penny. Depends what you want from it. If you want to play competitively then be aware that there is a concept of "Prime" accounts which was introduced to try and stop rampant hacking. What this means for you is that you will have to play until you are level 21 or above before you can become "Prime" (you will also need a phone number linked to the account). If you try to play competitive before level 21 you will be playing "non-Prime" which means you are matched with other "non-Prime" players, which may include cheaters. As you will likely also have a low rank you will probably be put against smurfs as well. You can play casual / deathmatch etc etc. Although I find competitve mode by far the most enjoyable. If you've played CSS, it's easy to get into. Otherwise it's like learning a 1st person shooter - but once you lose a few matches, you'll get paired with people who have also lost their first few matches.... So it gets easier And then you'll get better, and work your way up. In short - BUY! ;) It's awesome. That's all well and good, but doesn't mean much for a newcomer.. Is it hard to get in? 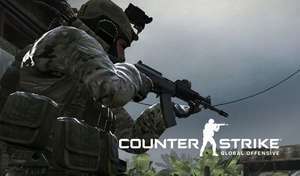 I've heard there's a lot of 'smurf' accounts I wouldn't mind getting in to a bit of CS GO to get better at twitch shooting..
Never miss a 'Counter Strike' deal again! This is a magnificent monitor, 144hz and freesync for £189.99 is amazing. Lightning deal ending soon. Wow.. I was keeping my fingers crossed for a deal and boom! Hiya, nice to meet you! :) I think I was to busy playing COD4 around that time. Good deal though. I've mentioned it in the description. There's a link in the description. That is good price, but i rather pay few £ more and get all CS versions instead. Thanks Do you think that I can like the page, use the code and dislike it later? What is the Facebook discount code? Has the sale finished? I can't seem to find any of the prices which are stated in this post however 24 hours hasn't passed yet? Awh man, I feel your frustration, but I only actually bother playing solo on my smurf so you'll never see me about anyway! Awesome, haven't played CS since about 8 years ago, this will be the first game on my new build after installing windows tonight I think! You'll never see G2A deals posted here, so I assume gamedeals is maybe more legit similar to GMG since they are an authorised seller? I thought valve never went lower than £5.99 due to hacker increases? How can they offer this price then? Fantastic game. Actually miss playing this ever since I go rid of my gaming laptop. Ah didn't know they start tonight! Thanks. On console this would be called a "remaster" and it would sell for £30 lol. Heat. Half Life complete? Where is Half Life 2 Episode 3/4/5 ( all episodes were mothballed) or 3 :p (_;).